Continuing this trend, below see an article about more strange, unexplained animal deaths in the South. 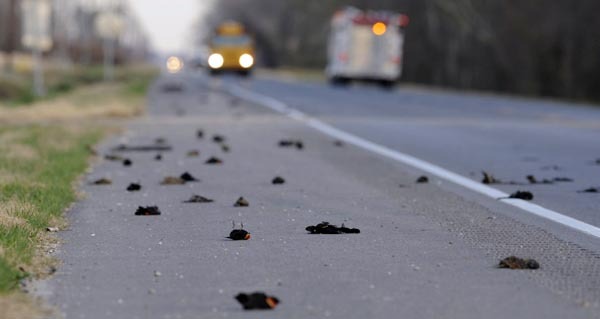 Only a few days after the full moon on the winter solstice, thousands of dead birds fell from the sky in Arkansas. Here are the details.